Church PR – Be perfect, therefore, for Christ’s sake and…. Listen to Danny Torchia’s Media Ministry Minutes segment once a month on the SLHour. Leadership comes with responsibility. Think of a mother or good father, or a hero like Dr. Martin Luther King. Although we rarely dwell on it, part of this responsibility is pure and selfless service. That includes active listening, patience, forgiveness and unconditional love – for starters. That is, of course, a life of holiness. But it’s also your life when you take stock of the leadership roles you may have in your life. The leader of today’s organization, parish, charity, fundraising campaign or community group shares in this calling. A leader lives for and serves the group. Yes – even in the normal supervisor/”direct report” relationship. This is how it ought to be at General Motors or General Mills, at your local school board or in your parish or home. In many ways we’ve lost this understanding. Before accepting any leadership position, even with a small group, remember the life of Jesus: the service toward others, the conviction or authority of his words which are based in Truth and love, the ability to take the higher ground when faced with aggression or traps etc. Believe it or not, this is one of the ways in which I provide media training to corporate clients. They are reminded to be “unblemished”, humble and caring in their conversations and encounters with stakeholders. They are reminded to do the right thing, over and over again – not necessarily the action that is easiest or most personally rewarding. They are, as well, expected to give time and considerate attention to all audience groups, including angry or agitated members of the media. All of this helps breed good leaders, and remind corporate executives that leadership is about service and altruism. So therefore, be perfect, for Christ’s sake…. and for the well-being of your organization and the audiences on which your success depends. 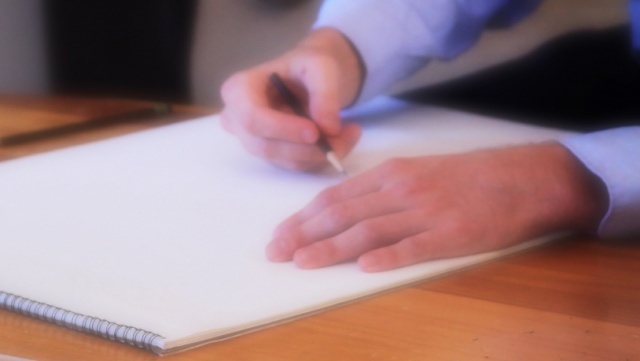 Church PR – How can I build a strong PR department? Before building a Public Relations department or reviewing your existing PR function, it’s always a good idea to remember (1) How do I define Public Relations and (2) What are the goals of my PR efforts? I must give credit to James E. Grunig, Professor Emeritus at the University of Maryland. This definition comes mainly from him and his seminal book, Excellence in Communications and Public Relations Management. That’s a loaded and rich definition. It’s worth meditating on it. Your options are endless. What’s key, in my experience and opinion, is that they find their inspiration from the above definition of PR – and that they are measurable. Find experts who are willing to act as mentors and advisors. Consider PR directors at Catholic organizations, dioceses etc. or retirees that have experience in PR. Ask if they’d consider helping you with strategy or finding qualified volunteers. Establish a solid “source” of potential PR volunteers or interns. Many PR programs at academic institutions demand that students find a co-op placement (for credits). A partnership with your local Catholic campus or vocational school can work wonders. Take the time to read about PR from quality sources. Consider Tactics Magazine from the Public Relations Society of America – one of the most insightful journals in the business, or join the mailing list of the Institute for Public Relations (http://www.instituteforpr.org/). Build a team that combines Technicians and Strategists. The former have the skills to program websites, write quality content, design a nice poster or organize events, for example. The latter understand the strategy and the overall program management. Both are needed. Once the department starts yielding fruits, your organization might be in a position to consider ways to retain all of the necessary resources to do more. What’s certain: when proper Public Relations programs are implemented, everyone wins and new bridges are made between your organization and the audiences on which your organization depends – from media to internal audiences and everyone in between. 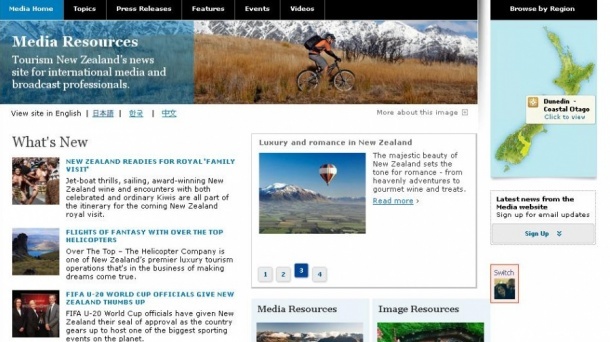 Church PR – Bad publicity: Is there such a thing? 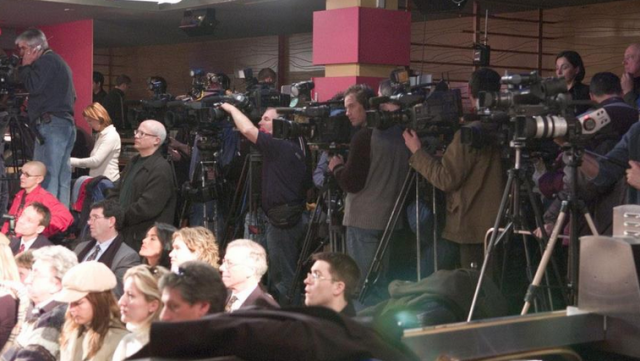 In the documentary Opus Dei: Decoding God’s Work, Father Thomas Rosica, CSB, CEO of Salt and Light Catholic Media Foundation, explains how media coverage on Opus Dei in 2003 offered a teaching moment for the Church. Even the toughest publicity provides an opportunity for teaching moments, moments of truth or a memorable story of repentance and personal growth. A scandal, serious fumble or other form of bad behaviour is and remains a tremendously difficult experience, especially when it’s made public by media coverage – traditional or social. Bad is bad. But bad is not abnormal. We’re all bad in some way or have descended disgracefully into that space at one time. Everyone can identify with ‘bad’. Identification offers a great soil for true and memorable communication. In my opinion, heroism is the act getting back up, with grace, after a fall. The best kind (of heroism) is fighting a daunting adversity, innate or external, with a renewed sense of character, virtue and other qualities with whom people might identify (selflessness is a good example). Just think of the major scandals of late and you’ll notice one of the primary reasons for widespread damage to reputation is usually the denial, litigious or pugnacious spirit of the ‘accused’, continued mistakes and the person’s lack of virtue (i.e. : the prevalence toward arrogance, selfishness, pride and other vices). If these vices are absent, and if corrective actions or a sincere effort toward reconciliation and reform is pursued, then the scandal can be abated and a renewed deposit of goodwill, empathy and affection can set in. This new foundation lends itself well towards deeper relationships. 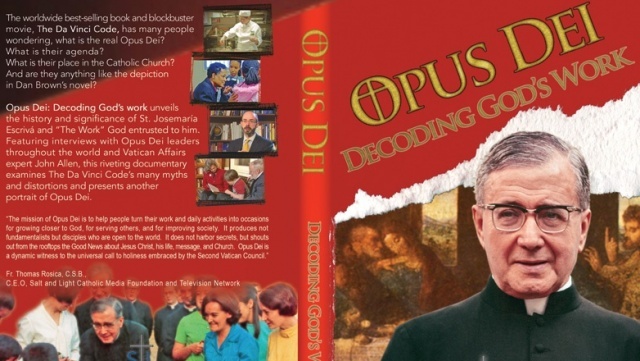 In the S+L documentary Opus Dei: Decoding God’s Work, Father Thomas Rosica of Salt and Light Catholic Media Foundation speaks of the Church harnessing the challenging media coverage on Opus Dei to create a teaching moment. This is key. Even the toughest publicity provides an opportunity for teaching moments, moments of truth or a memorable story of repentance and personal growth. Any of these three scenarios is good. Have we addressed those who have been wronged in a meaningful and truly appropriate way? Have we allowed the scandal to “bottom out”. I.e. : have we exposed the entire truth of the scandal or issue? Are we using our own media channels to communicate the story, facts and future-oriented (positive) changes that are taking place in us or our organization? Are we seeking the help we need? Is our tone one of selflessness, sincerity and follow through? At the end of the day, spokespersons – be it a CEO, athlete or religious figure – must strive to grow personally, in virtue. They must also realize that mistakes can happen and that these can be normal and, yes, even lead to positive change. Let’s go out there and grow, especially in virtue, and communicate sincerely every step of the way! A picture is worth a thousand words. Image is everything. These are only two of the many proverbs and tenets that express the same truth: man is a very visual creature. It’s no wonder you’ve often heard it said: “the eyes are the window to the soul.” In communications and positioning, the image is, indeed, if not everything than at the very least critical. And so how are we, as a faith community or Church group, doing in matters of image or images? If you open your diocesan weekly, what pictures do you see? When you pick up your parish bulletin, does it strike you as an inspiring aesthetic? How about your website? Business card? I wonder what images you’ve conjured up. I know in my world, especially with respect to some diocesan media or secular media covering the Church, I tend to see an over-representation of middle-aged clergy in religious garb. There’s nothing wrong with that image, but why does that particular category tend to attract the lenses of our cameras so much more than other targets or actors? What are we missing instead? And are we even taking out our cameras at the right moments? Avoid shooting predictable, staid or overly contrived “cheque presentations” or photo ops. Think of some other way to get the message across. 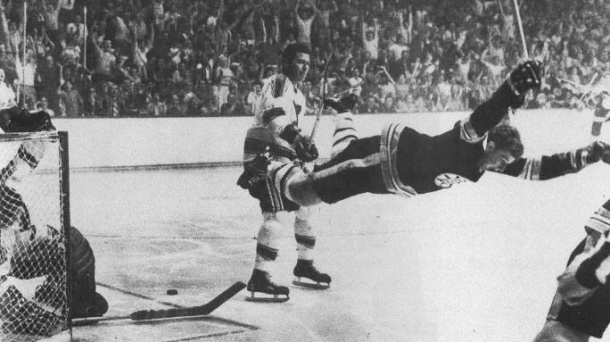 Try to showcase emotion and true action (a basic human emotion or activity in motion – think of the image of Bobby Orr’s famous winning goal featured above). Share them by e-mail with natural allies/partners…in particular any Communications Director/Officer who may have access to an internal newsletter or his/her own websites or social media accounts. For example, if you’re with the Society of Saint Vincent de Paul, send it to your regional council or national council, as well as your diocesan PR office. As a last reminder, never underestimate the beauty that is found on the faces of everyday, ordinary people. It helps to recall the newborn baby who remains affixed and enthralled by the endless assortment of emotions conveyed by his/her parent. As a photographer, try to capture the richness and depth of human expression and emotion. At the end of the day, that’s what will get people talking, remembering and curious to know more. It’s also something that we can all relate to. Let’s go out and snap some pictures….and remember to share them with us on our Facebook page.